Devon is a licensed Clinical Social Worker practicing in New Canaan, CT. She works with children, adolescents, adults, families and groups. Devon provides individual and family therapy for children, adolescents and adults in a private practice setting. She also leads several therapeutic groups for children, adolescents and young adults. 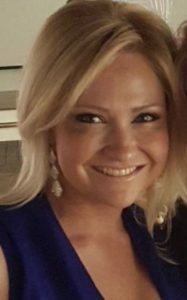 Devon takes an open-minded approach to client wellness and utilizes many different therapeutic techniques to meet the unique needs of each individual and family she works with. She looks forward to hearing from you and answering any questions you may have. Devon offers counseling sessions for individuals, groups, and families and utilizes many different therapeutic approaches to treatment including play therapy, cognitive behavioral therapy, psychodynamic therapy, behavioral and dialectical behavioral therapy. She finds that being flexible and individualized in her treatment approach is important in helping the individuals and families she works with to achieve their therapeutic goals and objectives. “As parents of a teenage girl going through a terribly difficult spiral, we were frightened and confused about where to get the best help. Devon was recommended by friend and she answered my text within hour on a Sunday afternoon. As soon as we met I knew we’d found the right person to get us through this journey. Devon's warm and welcoming personality combined with her expertise and communication skills has gotten our whole family on a much healthier path. Our daughter has a bright future ahead and the skills to cope with the challenges that are so difficult in today’s world. We will forever be grateful to Devon and I would pass her name on to anyone who asks." Copyright © Devon Suozzi, LCSW.